What a great, awesome, fantastic, amazing, super-fun long weekend! My sister (I’ll call her Pan because I can :P) lives super far away from me on the east coast but was able to take a few days to visit me all the way out here in Minnesota this weekend as her 2014 Christmas present from her hubs (totally felt like MY present too!). We were lamenting today as she was heading out that we wished we took more pictures or did a better job documenting her time here. We just generally spent the weekend enjoying ourselves instead of hamming it up in with selfies and facebook check-ins. Which was a LOT of fun but now I wish we’d done more hamming! So before I forget how awesome our weekend was I’m going to save it here instead. Her flight was a bit delayed but she made it in more or less on schedule on Thursday. I happened to be just getting to the airport as she got her checked baggage (super lucky, that never happens!). Picked her up, she hadn’t had dinner yet so I fed her some left overs (sister of the year right here folks). Saturday I hit the pavement with a 35 minute run in the morning. Finally, after years of searching I found the perfect 5k loop through my neighborhood. No busy intersections. Virtually no overlapping and half of it is through the bike trails to get a change of scenery. The route starts at my front door and ends at 3 miles right back at my house. Once everyone was up and at ’em, Pan and I ran to Target (not for the last time this weekend) for syrup and other breakfast essentials and made a big brunch with my hubby and kids. Spent some time doing some leisure reading and hanging out then decided to go to liquor store to grab a bottle (or three) of wine. My 6 year old was with us and wanted to go to Target (Target run #2) where Pan indulged him with a science kit. In the afternoon we all went to see the Huck Fin play at the Children’s Theater. The acting was terrific and the whole family enjoyed it. Had some all you can eat sushi for dinner with cupcake for dessert. Oh my goodness, so much eating but also so much fun! Pan and I wrapped up the evening with a couple glasses of wine while working on a puzzle of Johnny Depp as Jack Sparrow. (After spending over an hour trying to figure out where this nostril goes and where that chin hair goes I will never look at the man the same way again.) One of my favorite parts of the weekend. It was really wonderful to just relax and catch up. I really wish we could have more time like that (love you Pan!). Sunday we slept in before going to a nice brunch out. Pan helped the boys make slime from the science kit. 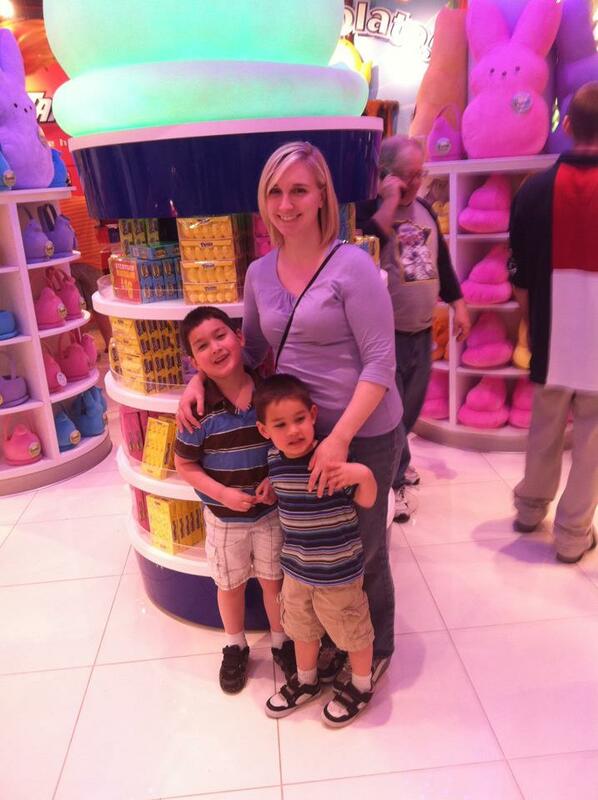 (I let her have this as special time with my kids and didn’t intervene on their slime time. Yup, sill going for sister of the year. :D) Later we went to Target (Target visit #3) to pick up a present before going to the birthday party for said present. Had a great time at the party visiting with friends. Throughout the weekend we had been playing the who-can-pay-for-stuff fastest game. She definitely won more than she should have. Last night we had an arm wrestle throw down for who could pay for late night hot wings. She WON! Grr. (Need to get back in the gym asap.) We hung out, scarfed hot wings and played some card games with my hubby before we called it a night. Today we got some coffee and swung by my favorite nail salon for some pedis. It was great to just relax and chat. We stopped back at the house to get her luggage, my hubby and kids then drove her to the airport. Bummer. Worst part of the weekend. So there you have it. One of the best weekends ever. The sister of the year award definitely has to go to my sister Pan. I couldn’t be more grateful that she took the time to come out to spend time here in Minnesota with us. She is heading into a bunch of exciting but stressful changes and I just can’t say how much I appreciate her. She may be my little sister but I look up to her in more ways than one. Since we were kids: She’s into Irish dance? I think I want to try that. 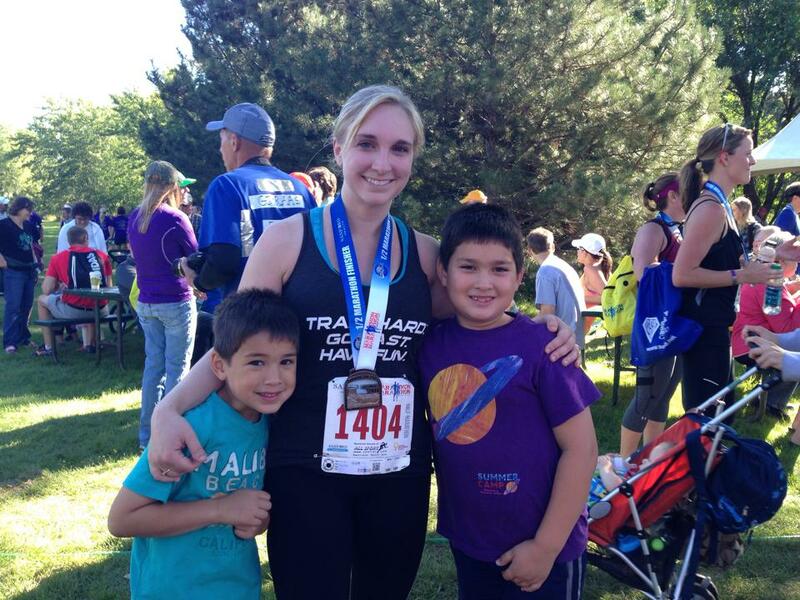 Through adulthood: She’s a runner? I want to be a runner. She’s getting a Ph.D? I think maybe I’ll do that too. I only wish we could have more cronuts, more pedis, more time for chatting and hanging out. Guess what kids? I have a new training plan! Shocked? You really shouldn’t be. I change my mind on my training every 10 seconds. When it comes to picking a plan I have the attention span of a 3 year old. What happened to Simply Shredded and 20 miles a week? I will spare you the details (because they are boring) but in a nutshell, no strength training (not even body weight training) on Dr.’s orders until mid April. Definitely cuts out the dead lift, bench press and barbell squat in Simply Shredded. Also, as it turns out 20 miles is a lot to squash into my schedule each week. I have been wanting to run this route for over a year and finally did it! Victory! And thus, a new training plan is born. 🙂 Since I can’t do any strength at the moment, I have the opportunity to focus on my running. Last week I ran sprint intervals a couple times, did some cross training on the bike and topped it off with a 12.5 mile run from my house to work with a friend on Saturday. My BRF just started using a new app called Gipis so of course I had to check it out. I really like that it gives you an estimated race time and shows how you can improve. It is super customized to you and your goals. It adds a good combination of easy runs and speed work. So I’m going to try the Gipis, spruce it up with a little cross training and some hypothetical strength training days (for later). And there you have it, my latest and greatest. I’d like to say that this is *the* training plan that will support me all the way to marathon day. But let’s be honest folks, it probably isn’t. I know I will probably “upgrade” to something newer, better, shinier, fancier. The good news is, I’m still learning what works for me, I’m still getting stronger and faster. And I’m not stopping. Ever. Back in school, that is. With a full time job, a house full of active hockey players and running/fitness aspirations, I’ve been taking my Ph.D. studies at a relatively leisurely pace. One class at a time. Usually with 2 or 3 week breaks in between. I’ve taken two 3 month breaks for the past two summers to focus on the kids’ sports, the race season, and mental sanity. That’s unfortunately not an option this Spring/Summer and the way things shake down I’m on just 1 week breaks between classes until sometime early November. Last week was that one, short week off. Last month I took a brief glance at the required textbooks for this class that has started this week. One was the beloved APA manual. Got it, no worries. Two other books were used in another course – done, no big deal. The third was new to me so I ordered it. Done and done. Logged into my course yesterday to glance at the syllabus, read the instructor welcome, yada yada – essentially giving myself “class 1”. Today I decided to gather all the books together and start going through the week’s material. I busted open the box from Chegg (should have done that a couple weeks ago). The used book is falling apart but at least I have it. APA manual, have it but probably don’t need it. (Most of that stuff is available on the internet and I’ve been writing with APA for so long I could do it in my sleep.) Where are my Tochim and Creswell texts? Searched all over and wouldn’t you know it? These two happen to be the only two books I’ve ever borrowed and returned from Chegg.com prior to this course. A quick check on my Chegg order history confirms what I was dreading. I have never, ever, ever returned or sold a book before these two. Not for my undergrad. Not for my masters. $200.00 and 15 minutes later, one text is on it’s way rush shipped to me and the other is loaded on my kindle. Thank you technology. The lesson here kids? DO. NOT. GET. RID. OF. YOUR. TEXTBOOKS!!! Like, ever. Lol Amazon.com – No. I will not be buying this book for a third time. Nice try though. While it is tempting to sit here and continue to blog and research the latest and greatest running tips I will get started on my homework and do what I can. Working in the education industry as instructor and administrator, one of the most frustrating excuses a student can give is “I don’t have my textbooks for X reason, so I didn’t do the work”. I’m not that student. That’s not how I roll. 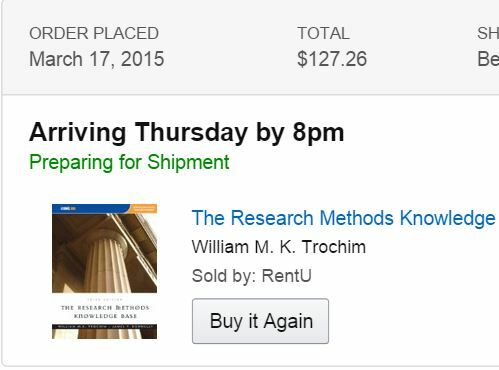 My rushed book (which is the majority of this week’s reading) will be here Thursday. In the meantime there is plenty else I can do to get started and enlighten myself on the intensely interesting and gripping subject that is quantitative research design. As I’m recovering from my ego blow from the Hot Dash last week and trying to ramp up for this 17 mile trail race in April, I set out for a 10 mile training run today. I left my house doubtful of my ability and still thinking about last week and wondering if I’d even be able to put up 10 more miles today. As I headed into the park about a half a mile from my house, a woman was pushing her two small children in a double stroller. I could hear her narrating things they were looking at on the trail. As I passed she said “Oh look, a runner! That makes 3 walkers, 1 runner, kids”. We both smiled and waved. It’s amazing what a small phrase can do. I don’t think she has any idea how her words powered me through the rest of my workout. Mile 3 when a side stitch kicked in “1 runner”, mile 6 when I was bored “1 runner”, mile 8 when my blister returned “1 runner”. I am not fast by any means but I did finish the 10 miles I planned on today. I listened to myself and my current ability and kept it slow. 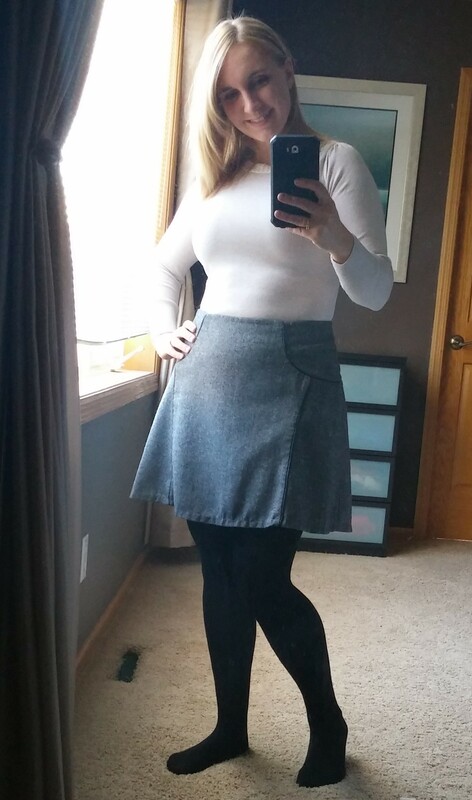 I felt way better than I did last week. The weather was great and I even discovered some new trails in my home town. Right now though? 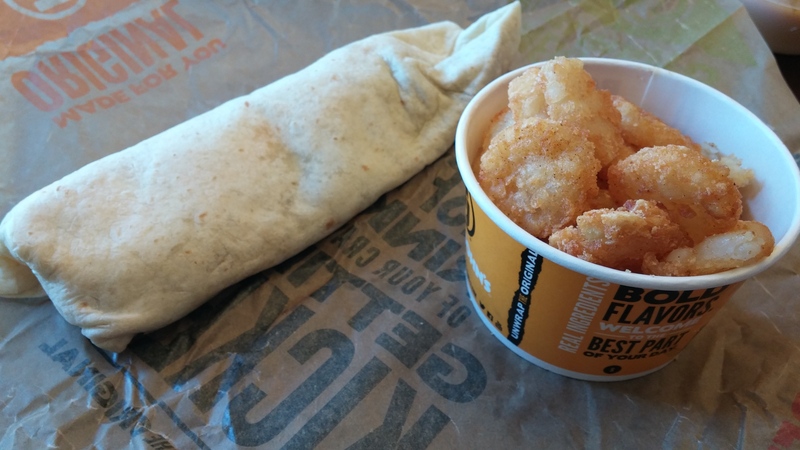 It’s burrito time. Hot Dash or Hot Mess? Let’s just say yesterday’s race, the 10 mile inaugural Hot Dash in Minneapolis was less than hot. Here’s a recap of my experience, the good, the bad, the ugly, and the uglier. I went into this race with the mind set that “it’s 10 miles, I’ve run farther before, no big deal”. My last race was a half marathon at the end of October ’14. I figured I’d done a good job maintaining my running stamina by running 2-5 miles, 2-3 times a week on the treadmill. This was my first mistake. Woke up on race day, showered, got my gear in order, inhaled a bagel and some water. As I turned the knob to leave for my car a thought crossed my mind: “Oh shoot, forgot the body glide. No worries, I’ve got my good socks.” Skipped it and left the house. Mistake number two. 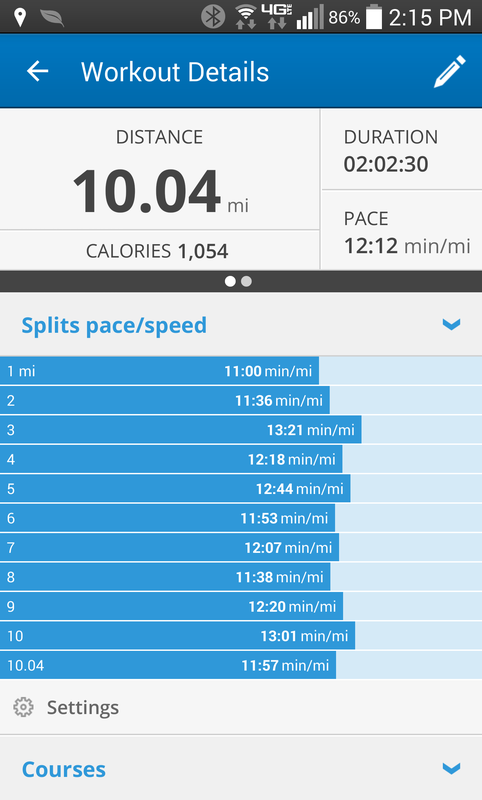 Mile 1: Was feeling great but went out too fast for my current fitness level after a winter of short treadmill runs. Mile 2: Realized I went out too fast and tried to pull back. Mile 3: Still trying to recover from my initial burst of energy, my Spotify is interrupted and my playlist starts going haywire. This has happened before – I realize my 8 year old is on our same account trying to play music. I try texting and calling him but he won’t answer. I call my husband but my 6 year old answers. I tell him to tell his Dad to check his phone to get our 8 year old off the darn Spotify account. Finally the competition for the music ends. (I find out later it was actually my 6 year old who was on it.) This whole ordeal slowed me down, I had jogged slowly trying to figure it out, walked some. Mile 4: Get myself regrouped, pace is back up – enter, the side stitch! Mile 5 & 6: Just plodding along as best I can. Wound up taking way more walk breaks than I usually would. Mile 7: Blister on the left foot, keep on jogging. Mile 8: Taking even more walk breaks now due to blister. Get some semi-urgent work texts, so I answer those and some work emails. Mile 8.5: Hubby texting me that he can see my progress on MapMyRun and is virtually cheering me on – so thankful for that! 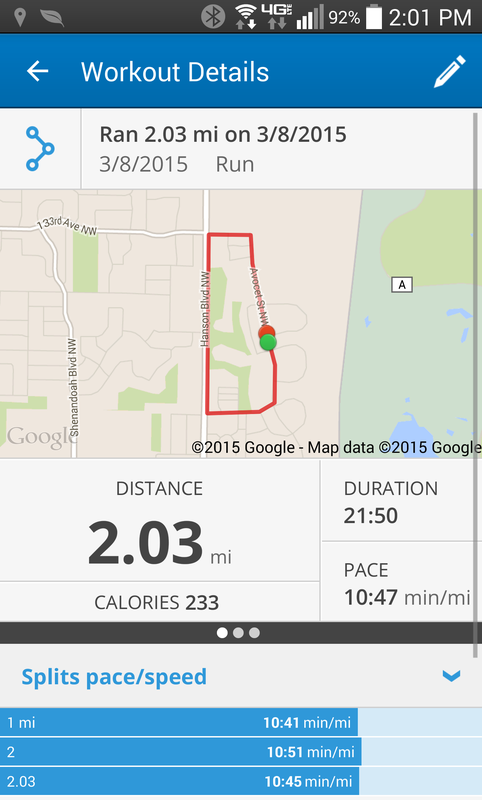 Kicked it up and tried my best to get my pace up. Mile 9.5: Blister is killing me now, start running with a limp just tapping my left toe which causes an increased strain on that calf. Finish: As I’m rounding the corner to the finish I see about 5 people who (somehow) look to be in worse shape than I am. I figure I can just sprint and at least have passed a couple. As I’m running like my life depended on it my overused calf collapses. That’s the best word I have for it. It just quit working. I thought I was actually going to face plant across the finish line. But I didn’t, I finished strong and was never more happy for a race to be over. My slowest race pace in a really long time. Later at home I showered, I cried, I slept. Then I got over myself. Whenever I’ve made a mistake, my grandmother has asked me one question: “Did you learn something?” The answer is yes. 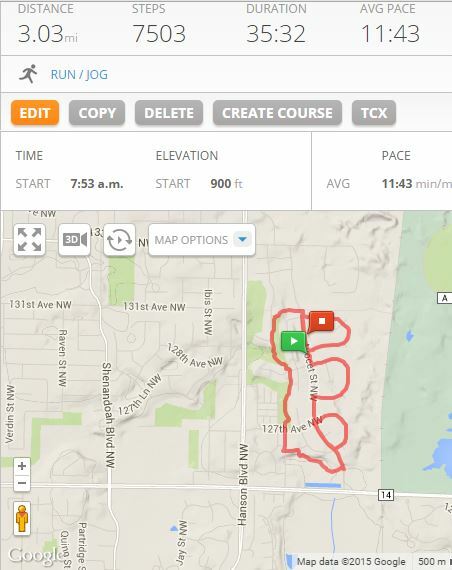 I learned many things along this 10 mile course. Don’t go out too fast! I say I won’t every time but the race excitement always gets the better of me. Need to work on that. Don’t take a significant distance for granted. Next time I’ll train better. For goodness sake, DO the body glide! It takes literally less than a minute! Be more flexible. I should have just switched to a different music app or gone without. I let that slip up mess with my mojo way more than it should have. Enough of that. There were some great things about yesterday too. 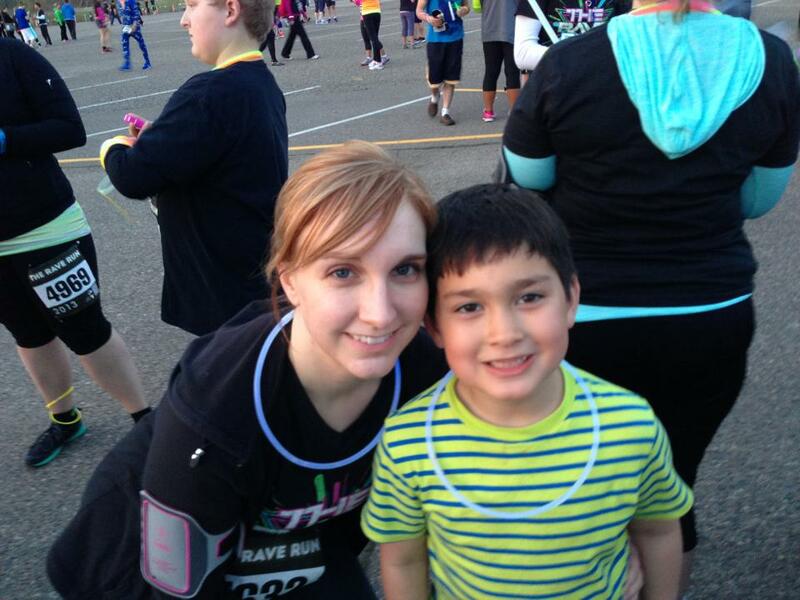 Had a lot of fun with with my running buddy before and after the race. The race itself was really well organized – plenty of porta-potties, water stops, parking. The course was relatively flat (I cannot tell you how grateful for that I was!). It wasn’t too crowded. Post race snacks were really amazing: (fresh!) bananas, large water bottles, chips, bread, nut roll, “dash hash”, beer. The after-party village area was also pretty great: fire pits to warm up and a contest for the best runner in lumber jack costume. I did run 10 miles. I did finish the race. I learned some valuable lessons. Today I ran 2 more miles, just to prove I could. My next race is a 17 mile trail run. I’ve never run more than 13.1 miles. I’ve never run a trail race. I have a month to take what I’ve learned and get ready for this thing. Here we go! Crazy milestone. I’ve logged into myfitnesspal.com (MFP) every single day for the past 1,000 days. I’m not sure if that’s dedication or insanity but there it is. Here are some things I’ve learned through my experiences the past 1,000 days. June 3rd – My first day logged on MFP. usability. At first I was a bit skeptical since I already had SparkPeople but figured I’d check it out. Loved it. When I found out there was a streak counter for days logged in, one thought came to mind “oh it’s on like Donkey Kong!”. I’ve logged in every day since. When I first started using the app I wasn’t very active. I hated working out and just figured if I ate less I didn’t have to exercise. I was a busy mom, chasing my kids, playing with them in the yard etc. and figured that was enough. Looking at my diet now, I ate pretty poorly back then. Lots of pizza, convenience foods (think EZ cheese, pop tarts, mountains of girl scout cookies). Whatever was easy and whatever I wanted. I started using the app to just see what I was eating. From there I started slowly reducing my calories and did my best to stay within about 1,200 daily since that was what MFP recommended for my height. It wasn’t easy and I often had “cheat” days where I didn’t feel like logging all my food. But I did continue to log in. Every. Single. Day. January or February of 2013 I realized I needed to start exercising. I realized I liked the MFP app so much I might as well see if there is anything that rewards consistent exercise the same way. Enter Nexercise. I don’t use this app anymore but I can’t tell you how big of a part this app played in my journey to health and wellness. You get virtual badges for doing different kinds of activities or more minutes of an activity. It counts everything from house cleaning to badminton to swimming. It even listed specific brand exercises like those found on BeachBody.com. There were weekly points where you could compete with strangers or your friends. And boy did I! I told myself that it didn’t matter what exercise I did, I needed to do something every day. And I did. And I discovered a whole world of new activities I love. I jumped rope, I logged seemingly endless hours on the elliptical, I played baseball with my kids, I did yoga, I walked (I walked a lot), I biked, I took fitness classes for the first time in my life. I was so excited to see my Nexercise steak continue and rack up the points. I also noticed that MFP gave you extra calories for eating with all of this activity. Now we’re talking. 🙂 I started logging my food more consistently. Enter (my now very best running) friend. I saw on her Facebook page that she had registered for a night time glowed up 5k. It looked super cool. She invited me to come. My thought was I could never run for 3 miles. She was super encouraging and said it was okay to walk and some of the others who were going would be walking too. I remember this vividly: I was at a hotel in Wichita Kansas for work and wanted to see if I could do it. I got on the hotel treadmill and huffed and puffed for about 46 minutes. I walked, I jogged, walked some more, cursed a little. But I survived 3 miles. I registered for the race that night. I kept up with my other activities but didn’t really train for the 5k. 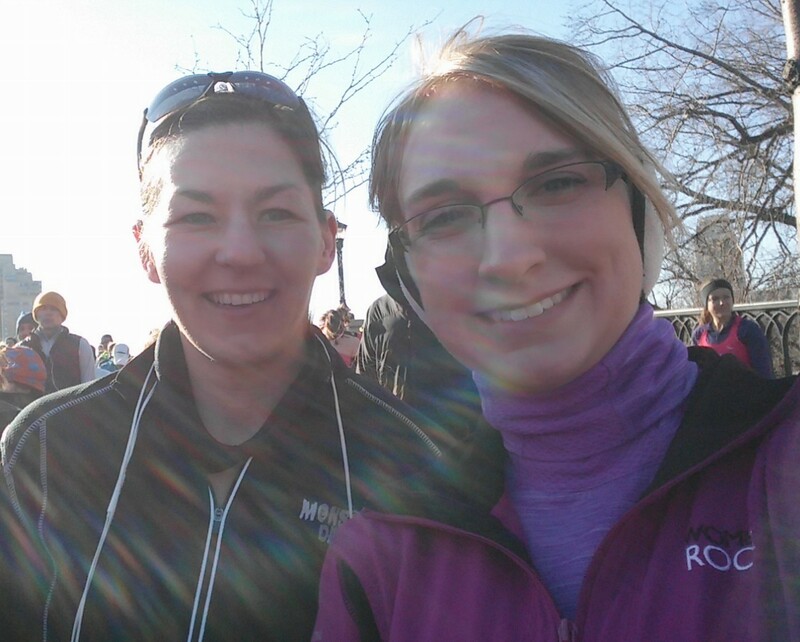 When race day came around I some how ran (okay, slowly jogged) the whole darn thing. I was on such a high, within the week I was asking her when we could do another race. I was hooked. I registered for a 10K, but knew I needed a training plan. I completed every day of the couch to 10K program sometime during that Summer in preparation for the race at the end of August. In total I ran 9 races in 2013, including my first half marathon. I kept up with running and eventually didn’t need Nexercise anymore to motivate me to exercise. 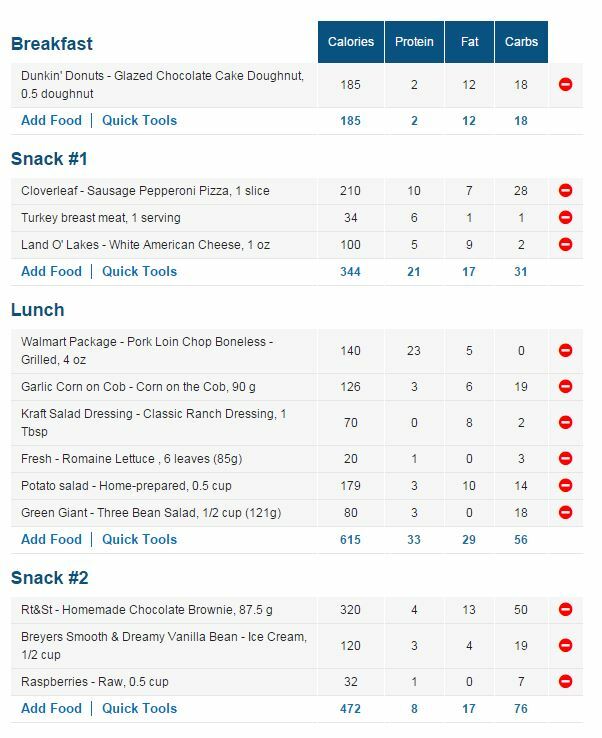 I continued to log everything into MyFitnessPal. I took a couple months off in Winter for a surgery but jumped back in with my first race of 2014 in March. Eventually after much research I realized I need to start strength training. I discovered that endless hours of cardio are not going to get me to where I want to be in regards to my physique, strength and endurance goals. In May I began the ChaLean Extreme program from BeachBody but abandoned it after about a month when I joined LA Fitness and started working with a trainer instead. My sister also helped me get started with eating IIFYM-style after I saw her using it with great results. Increased calories to support my fitness was great. Additional muscles and strength were also an added bonus. I kept running. I racked up a total of 467 miles in 2014 and finished 20 races. I continued to log into MFP. MFP has changed my life in a gradual yet wonderful way. I wake up, I shut off the alarm, I log in. Every day. I’m the most in shape I’ve ever been in my life. I love trying new things and being active with my family. I have discovered a love of racing and am excited to start training for my first marathon in June. And that, my friends, is how I’ve spent my first 1,000 days on MyFitnessPal.